It is accepted that society has a responsibility to ensure that children learn to read and write in order to empower them to live their lives to the full as active citizens. In 2013, in an age when children and young people receive much of their education, information and entertainment via moving images it is suggested that children and young people should similarly be enabled to be media literate too. Film literacy enables them to understand how the film and moving image texts that they consume make meaning, encourages them to watch films from a variety of sources and inspires them to create films of their own. In so doing they are empowered to be culturally literate – to be able to ‘read’ the films and moving image texts they see every day and ‘write’ their own for others to watch too. Britain already has what are probably some of the best film education initiatives in the world. However, for most young people, if they experience film education at all it is as isolated episodes that lack consistency and progression. In Bradford we want to move film education on from being a series of disconnected experiences to becoming an integral part of every young person’s life – a systematic process in which confidence and articulacy grow by having the opportunity to see a wide range of films, to gain a critical understanding of film and to enjoy the creative activity of filmmaking. Enables children and young people to use film as a vehicle for their own creativity, and encourages the film industry to respect their voices. In 2010 Sarah Mumford (Freelance Film and Media Education Consultant and then Head of Learning, National Media Museum) was invited to become chair of the City of Film Learn Board. She used this opportunity to look for ways to embed film literacy in to schools in Bradford to act as both a legacy for City of Film and to see if teaching about film in schools could help raise pupils’ literacy attainment levels. Sarah brought together a team that included Paul Scott (Curriculum Innovation Manager, Bradford Children’s Services) and Mark Reid (BFI Head of Education) to deliver a CPD programme with lead practitioners and primary teachers to embed teaching about film into the primary classroom – in this first instance the funding focussed the project on improving boys’ achievement in writing. Bradford UNESCO City of Film had made the decision to focus on encouraging film literacy in the classroom as an exciting and enticing tool for developing pupils’ literacy and enhancing their learning. Paul Scott’s team of lead practitioners in the Curriculum Innovation Team were trained using a previously tried and tested and updated BFI CPD model for embedding film literacy into the primary curriculum. 11 primary teachers were then trained alongside the lead practitioners. Teachers were offered strategies and models for teaching about and using film in the primary classroom. The teachers then embedded their new skills and knowledge within a chosen curriculum area with a focus on raising attainment in writing. They all took different approaches with rich and varied results. Teacher feedback on the effect on boys’ writing ability was extremely encouraging. The 2010-2011 project was monitored and reviewed by Film 21st Century Literacy, the Film Education Strategy for the UK, alongside a range of other pilot film education projects across the UK. The project was written up as a case study as part of the http://www.21stcenturyliteracy.org.uk/findings.php (see Case Study section and Bradford City of Film). 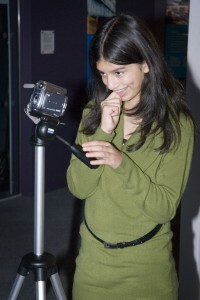 Momentum gathered around projects like this leading to an imminent step-change in the role film can play in the classroom. As a result of the Chris Smith Independent Review of Film, the British Film Institute included a substantial commitment to film education as part of its 5-year programme Film Forever. http://www.bfi.org.uk/about-bfi/policy-strategy/film-forever. 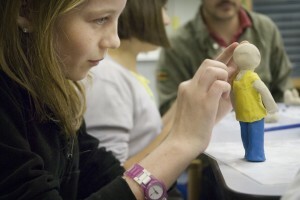 Its UK-wide ‘5-19 film education offer’ goes live from April 2013, alongside a National Youth Film Academy, which came out of the government response to the DCMS/DoE Henley Review of Cultural Education. Bradford UNESCO City of Film wanted to run the project again. This time Sarah Mumford suggested it run for three years and its effect be monitored and evaluated by a PhD student. The University of Bradford and Bradford UNESCO City of Film co-funded the PhD student placement (Dr Mark Goodall is supervising from the University of Bradford with co-supervision support from Dr Rebecca Parry at the University of Leeds). All delivery parties concerned agreed to work in partnership again to support yet more schools to embed the teaching of film in to the curriculum to raise pupils’ achievement in literacy. Bradford Children’s Services agreed to fund the first year of the three year project in the first instance. The Curriculum Innovation Team lead practitioners are now delivering a second iteration of the project – this time with the ambition to run over three years with plans to cascade out to as many primary schools in Bradford as possible by the end of year three. Bradford UNESCO City of Film, The British Film Institute and the Bradford Curriculum Innovation Team have all offered their ongoing support with the project. The National Media Museum has offered to host children’s film screenings and the University of Bradford are continuing to fund the three year PhD post to research and evaluate the effectiveness of the approach. To date Bradford Children’s Services have funded the first year of the 2012-2015 film literacy teacher training programme.